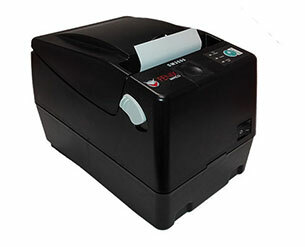 Thermal ticket printers are state-of-the-art devices that are quite different from other so-called impact printers (that is, those that use force to print on paper). On the contrary, thermal printers use the heat on a paper that chemically reacts to be able to transmit the printing. By not using ink they are environment friendly type of printers, as they do not generate waste, beyond the consumption of thermal paper. Fénix Imvico is a Company specialized in manufacturing and distribution of printing mechanisms and thermal printers, so we will talk about everything you need to know about these necessary elements in so many applications. In our Organization we design and manufacture thermal printers that are distinguished by being reliable and precise. Our goal is to provide the best service in each of the possible applications of our customers, so we always have in mind to offer an optimal quality in each of our manufacturing. To have the least maintenance, so that the equipment can carry out their functions free of incidents and reducing maintenance personnel tasks. To be accurate in the printing and that they can be adapted to any type of support and assembly. And, above all, to be reliable and offer a high-quality, simple and clean printing. Thermal printers are used in so many different places that require fast and effective printing of tickets or receipts: parking meters, parking systems, unattended terminals, information kiosks, electronic weighing scales, POS terminals, ATM machines, industrial machinery and a long etcetera. At Fenix Imvico we offer the best printing solutions, to adapt to any specific requirement of each client and situation. You can contact us to request more information about our products and we will assist you with any questions that may arise.